MBRP R1009 MBRP is proud to introduce high flow mirror polished T304 stainless steel resonators to the ever growing line of performance exhaust components. 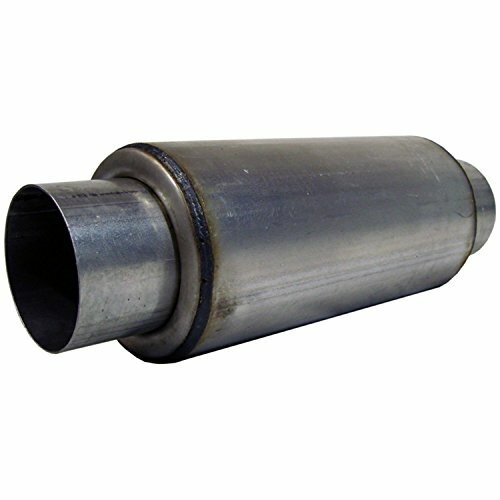 Great for the muffler shop installer who bends custom exhaust systems, these resonators can be used on many custom applications, from Hondas to Hot Rods. Take the edge off any performance system with an MBRP Diesel Resonator. This high flow resonator will help reduce that annoying interior resonance without compromising performance. The compact design allows you to install this resonator with virtually any system on the market. Reduce the sound level, not the sound quality.